Degree Of Hear Loss - Healthy Hearing Inc.
21-25db Slight; problems if listening conditions are poor (i.e. a noisy party). 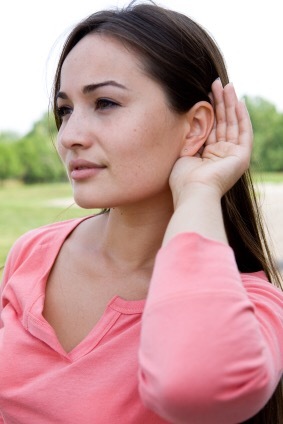 26-40db Mild; difficulty hearing soft or distant speech in church or theatre; may benefit from a hearing aid. 41-55db Moderate; conversation heard from 1-2metres, but understanding speech is a strain, especially with background noise; hearing aids required. 56-70db Moderately Severe; conversation must be loud and nearby; hearing aids required. 71-90db Severe; cannot hear loud speech or understand speech on the telephone; hearing aids required. 91+db Profound; some very loud sounds may be heard or felt through vibration; hearing aids required.